Renovate an existing home to provide additional space for a young, growing family while maintaining a modest budget. Existing to be Renovated: 800 sq. ft. Proposed Addition: 29 sq. ft. Existing to be Renovated: 358 sq. ft. 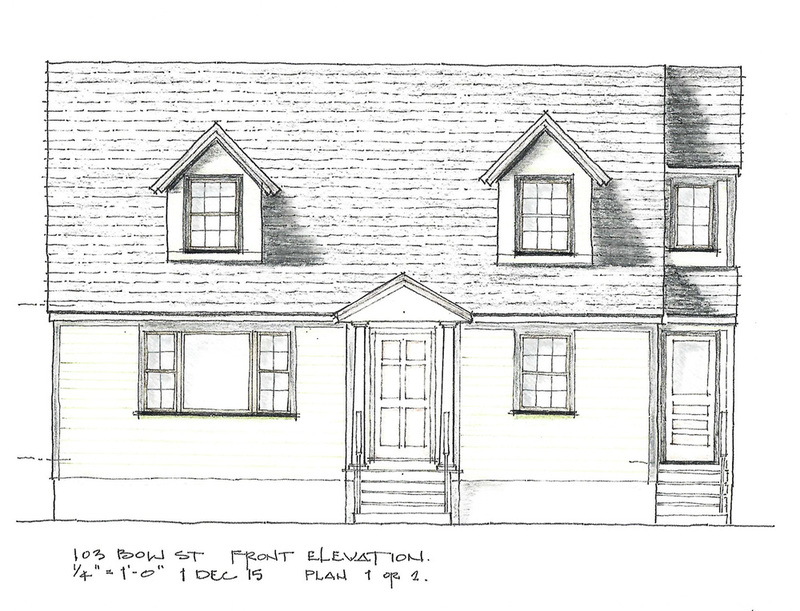 Proposed Addition: 273 sq. ft. 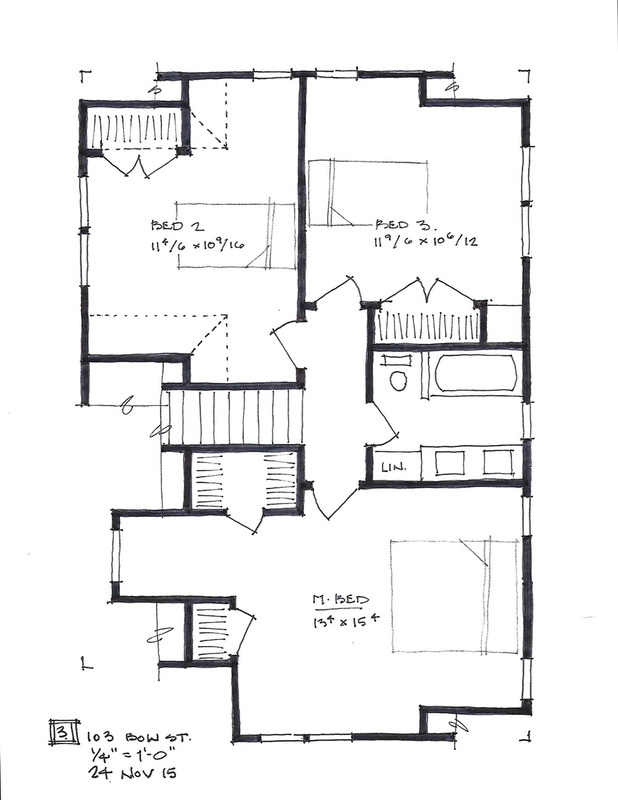 Existing Basement: 768 sq. ft. Basement Addition: 62 sq. ft.
Area to be Finished: 330 sq. 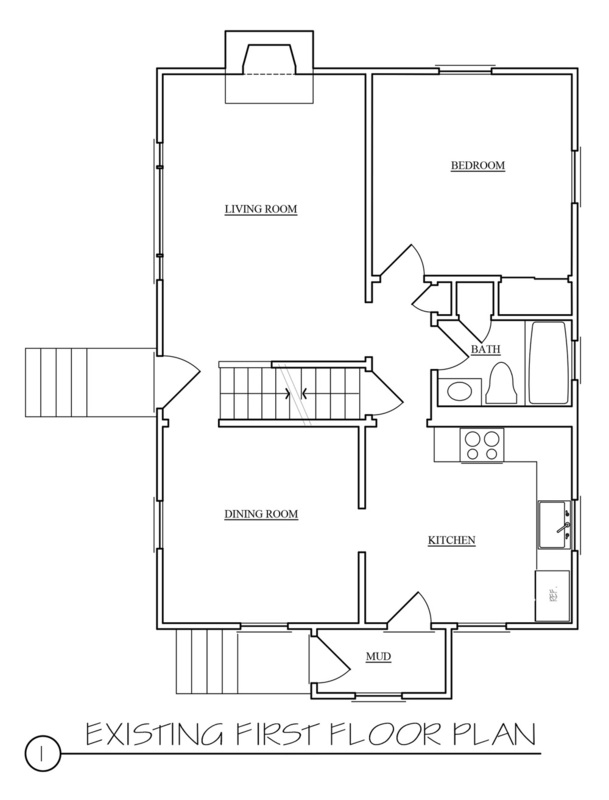 ft.
Total Floor Area: 1790 sq. ft.
What makes a house a starter home? Affordability. If the house is located in an established neighborhood, often a safer place for a young family, values should increase over time. However, finding an affordable home in an established neighborhood is a challenge. The house will be small and likely on a small, non-conforming lot. Small houses on larger lots are easily expanded or replaced with new, larger homes, and in established neighborhoods near metropolitan areas, these options are long gone. This petite house is located in a quiet, established neighborhood, ideal for a young, growing family. 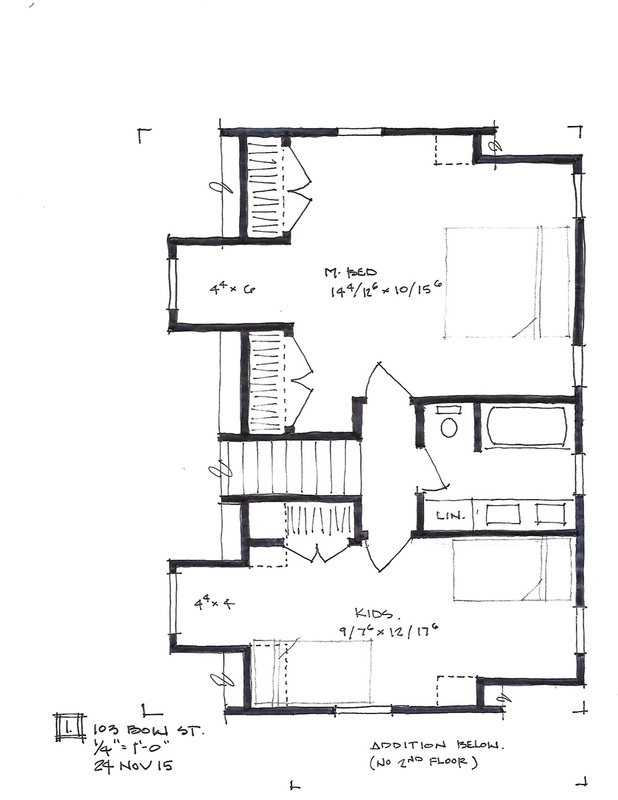 The small size of the existing home is accentuated by a segregated first floor plan and a largely unusable second level due to the traditional, one story Cape roof. The second level currently contains two bedrooms and a two fixture bathroom, which is far from ideal for parents with two infant children. The non-conforming lot size limits footprint expansion to the overall width and depth of the existing structure. 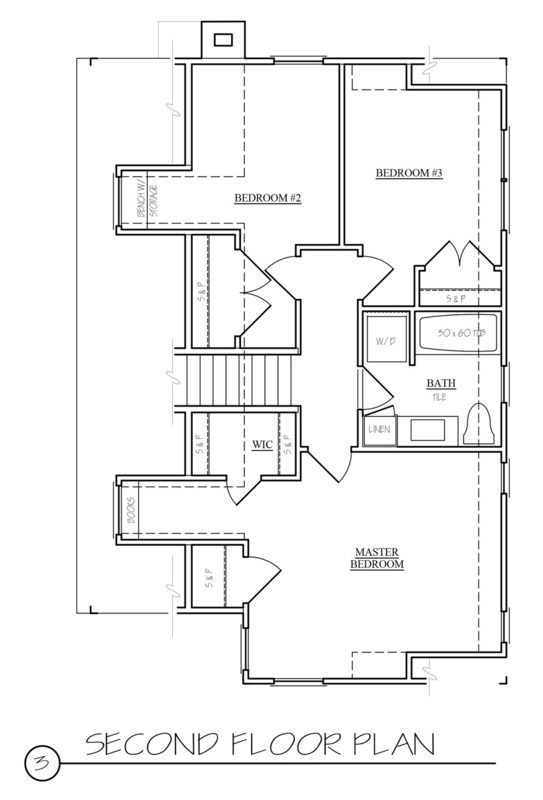 Better potential for expansion and for grouping three bedrooms with a full bathroom is at the second floor, where 50% of the footprint is currently unusable because of the Cape roofline. 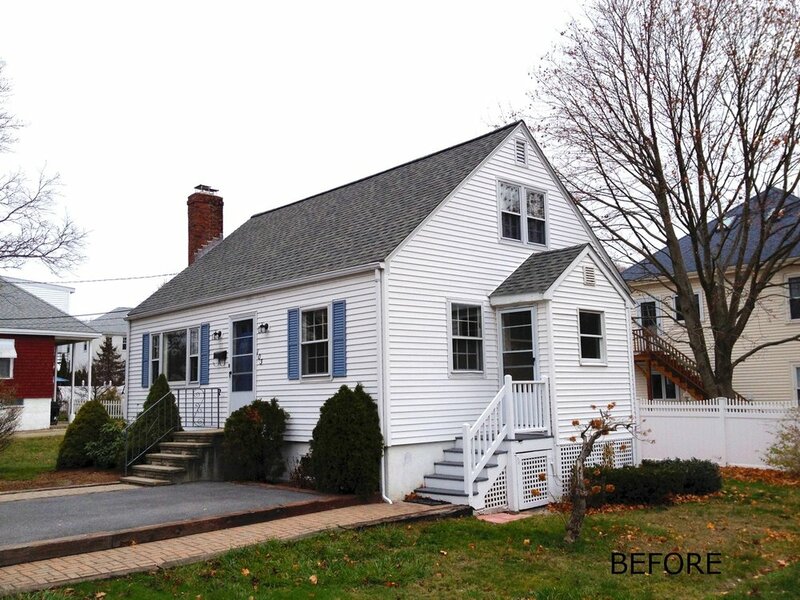 The client does not have the budget to remove the roof and expand to a full second floor, so dormers were added at the front and back of the roof to increase the ceiling height within the upper level and expand the useable square footage. At the first floor, Incite focused on opening the layout to create a more spacious flow between the Kitchen, Dining, and Living spaces. We also added Kitchen space by taking advantage of the small area available to expand the footprint adjacent to the Mud Room. 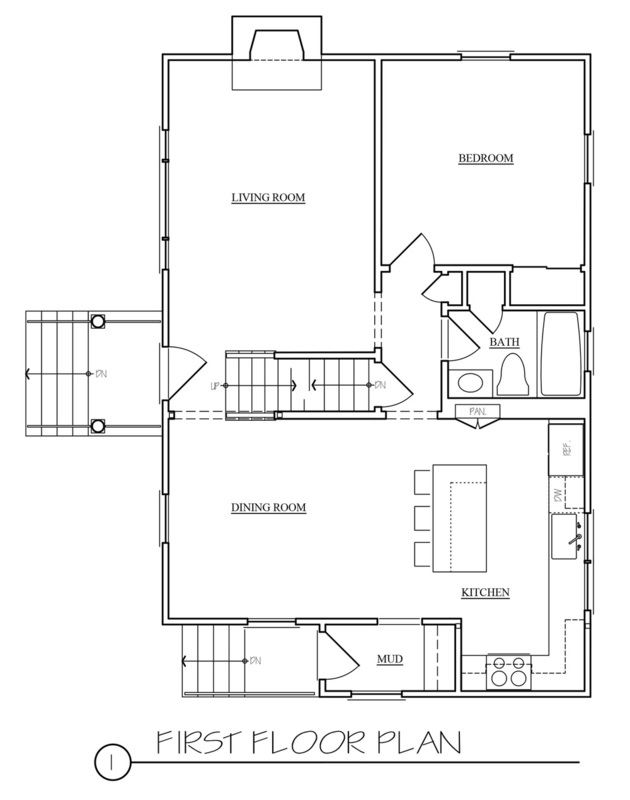 Incite offered the client several options for the first level Kitchen space as well as the second level layout. Both increased square footage and improved the quality of space with affordable, yet functional design features that have the ability to adapt with the young family.